Longer days, fields of wildflowers, seasonal fruit at the market - it must be spring! Read on to discover everything we're buzzing about this May. I'm embarking on more journeys this month to seek out fun and fantastic finds for the Compass & Key community. You already know that many of the travel itineraries in our destination guides focus on walking, so this month I'm excited to get out to the French countryside to discover amazing road trips. Bonus: spending a few days in the City of Light to update and add to the Paris Destination Guide! The first foray into France is a road trip through the Loire Valley, where my Mom and I will be seeking out the most enchanting chateaus and gardens, sampling local wine, and keeping an eye out for serendipitous discoveries. As this will be my second trip to the Loire, I've already researched a few lesser-known chateaus to complement visits to icons like Chambord, Chinon, and Chenonceau. Late May brings me to southern France with my husband to discover the natural beauty and hillside villages of Provence. Just as I have done with our National Park Destination Guides (like Yosemite or Acadia), we'll be testing out some promising hikes in the region to pair with other attractions, like winery visits and village tours. Staying in Luberon Natural Park between Avignon and Aix-en-Provence allows for a plethora of day trips, which I cannot wait to share! These trips promise to inspire plenty of blog posts, travel tips, and new destination guides. I hope you'll join me in France as we post regular updates on Facebook and Instagram! If you have any travel tips to the Loire Valley or Provence you want to share, I would love to hear from you - just email me tara@thecompassandkey.com. An estimated 500 billion disposable cups are thrown away globally each year, few of which are recycled. I was thrilled to discover Stojo (stojo.co, from $14.99), a new collapsible cup that fits easily into a jacket pocket or handbag, making it easy to begin reducing - potentially eliminating - my use of to-go cups at home and while on the road. After two months of testing, I never leave home without it! I chose the Stojo Biggie because it holds up to 20oz, includes a foldable straw for cold drinks, and comes in a palette of pastel and neutral colors (I'm in love with the rose color). How have I missed this epic combination of my two favorite desserts? If you haven’t heard either, macaron-ice cream sandwiches are deliciously real, and you should seek one out immediately. Unique flavor combos can be found in shops all over the world, like London's Yolkin, MILK in LA, or MIMA in Barcelona. Many of the Parisian boutiques well known for macarons will add these sandwich creations in warmer months. Or if you’re crafty in the kitchen, create your own with this recipe from Tasty. 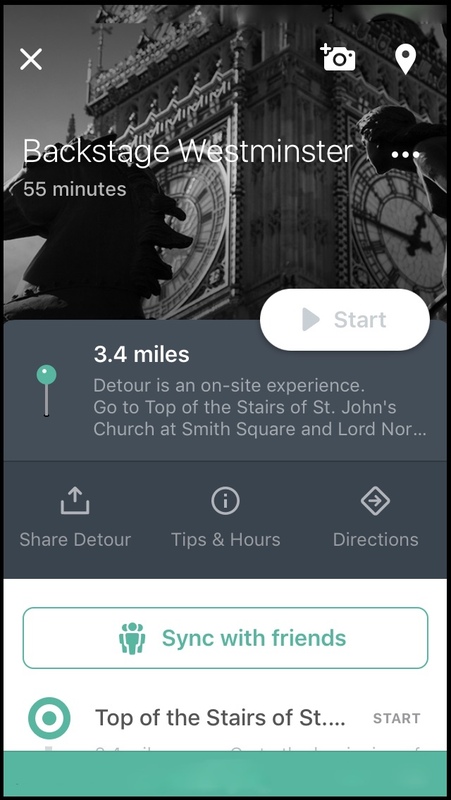 Good news: one of our Ten Essential Travel Apps, Detour, is offering all of their exceptional audio travel guides for FREE through the end of May. We’ve sampled the best in French cuisine in Paris, discovered architectural gems in Chicago, and learned how legendary jazz artists got their start in San Francisco. The Not-So-Good news: Bose recently acquired Detour and currently plans to decommission the app in June. Download and enjoy Detour guides while you can, and fingers crossed that Bose finds a new hosting platform soon. The new movie The Guernsey Literary and Potato Peel Society, starring Lily James, Matthew Goode, and Jessica Brown Findlay (all of whom also starred in Downton Abbey at some point), is a delightful adaptation of the book, which is one of my favorite reads. Aussie singer-songwriter Kasey Chambers, an artist I've followed and loved for many years, is releasing her 12th studio album, Campfire. You'll love the title track for all of your summer gatherings. On my bookshelf: book club selection Eleanor Oliphant Is Completely Fine by Gail Honeyman, the hit sci-fi book-turned-movie Ready Player One by Ernest Cline, and a biography about Catherine de Medici, the often misunderstood 16th-century Queen of France. Small-group tour company Context Travel has launched in Salzburg, providing an alternative to the massive bus tours that we encountered during our visit last year. Coincidentally, our fabulous private tour guide, Michala, is now working with Context! Nashville's newest boutique hotel, The Bobby, continues Music City's hotel expansion, joining popular properties like 21C Museum Hotel and SoBro Guest House. I want to check out the 1967 Greyhound bus the Bobby somehow hoisted onto its rooftop and retrofitted for late night parties. The Continental Divide Trail is celebrating 40 years as a National Scenic Trail and needs your help. Lesser known than the Pacific Coast or Appalachian Trails, the CDT has a fraction of the hikers yet plenty of spectacular scenery through areas including Rocky Mountain, Yellowstone, and Glacier National Parks. A new volunteer-led project called "Blaze the CDT" will help develop the trail with improved signage and mapping. Interested in helping out? Check out the details on the CDT website. Our newest destination guide to the Islands of Malta is almost complete! If you haven't already, subscribe now and be among the first to preview the guide. COMING SOON: The latest Destination Guide from Compass & Key uncovering the rich history, natural beauty, and contemporary culture of this fascinating Mediterranean getaway. By the early 1900s, Montmartre was the center of artistic and intellectual life in Paris. Pay homage to its former residents and discover the city views that undoubtedly inspired them on this fascinating 3-hour itinerary from Compass & Key. Seville's royal history comes to life in this 5-hour walking tour from Compass & Key. This self-guided itinerary takes you through the spaces and places that honor Seville's royal past. Plan an unforgettable vacation to Seville with Compass and Key destination guides.